Please Help Save Our Green Lake Community Center! The City Dept of Parks & Recreation intends to convert the entire upper floor of the Green Lake Community Center, and the first floor teen room, to Parks Dept. offices.. The Parks Dept needs to relocate staff because the current offices at South Lake Union will become the new home of MOHAI. Areas lost to office cubicles are an open-access toddler play space (serving kids during our rainy winters); a children’s music program serving 109 families; and a large room with recently refinished wood floors used for yoga, hula, tai chi, and other physically active classes. A teen room (drop-in center) will be converted to a staff conference room. The final decision about whether to move offices to Green Lake will be made by the City Council as part of the 2011 budget process. Comments to City Council are productive. Parks & Recreation also planned to close the GL Community Center preschool, but parents and GL residents protested to City Councilor Tom Rasmussen at his listening session on October 16. Then, at the Oct 19 meeting of the GL Community Center Advisory Committee, it was announced that the preschool would stay open until June, when “an evaluation will be made to determine whether the preschool is compatible with the other uses.” The preschool is located on the first floor, next to the proposed staff meeting room. Parks & Recreation staff have also said “it’s only temporary,” but $188,000 is budgeted for the laying of carpet, electrical upgrades and re-wiring, running fiber-optic cable, installing partitions, and other improvements. Personally, I find it hard to believe the offices will be moved to another facility once this investment is made. No plans exist to upgrade / replace our 1929 Community Center facility through 2016. A Dec. 2008 estimate for bringing it up to code was $3.2 million. The report also estimated replacement cost, with a 25% size increase, at $12 million. [GL Community Center and Evans Pool, Facility Assessment. 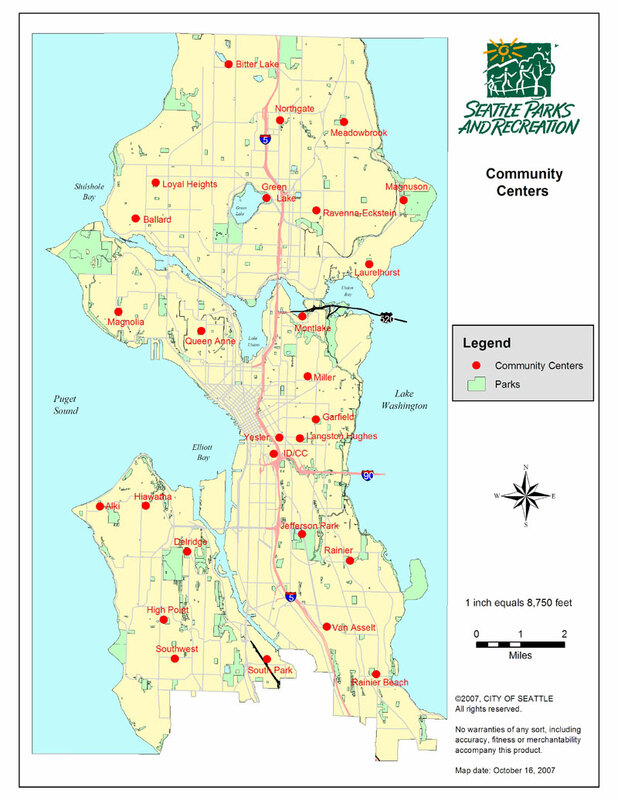 Seattle Department of Parks and Recreation. December, 2008.] See also Community Centers Condition Assessment Screening, Seattle DPR, Mar. 2008 and Map of Community Centers. I urge you to contact Mayor Mike McGinn, City Councilor Sally Bagshaw, Chair of the Committee that oversees Parks and Recreation, Tom Rasmussen, Vice-Chair of the Parks and Recreation Committee, in fact all the council members to express your concerns. We need to keep the letters and Emails pouring in. The deadline for the City Council to receive input on this issue has been extended to Nov 22. So write your letter, now! My letter can be accessed here, if you need ideas, but the best letter is one you write yourself. Green Lake residents talked back to City Councilor Tom Rasmussen at the Green Lake library on Sat. Oct 16, saying that they objected to the 2011 City budget’s proposed takeover of the Green Lake Community Center to house Parks Dept offices previously located in the old Armory in South Lake Union while city-owned and leased offices elsewhere remain vacant. The Department of Parks and Recreation is especially hard-hit by the budget. At Green Lake, the biggest reduction appears to be in programs at the Community Center, including very reduced hours for drop-ins at the gym. There are no plans to upgrade (or replace) our Community Center facility through 2016. In addition to the proposed cuts to GL Community Center programs and staff, the budget proposes moving operation of the Small Craft Center (rowing program located at the Aqua Theater) from the Parks Dept to the Associated Recreation Council and reducing hours at the Small Craft Center to 3 hrs/day on M-F only. Park maintenance (mowing lawns, pruning trees, emptying garbage cans, cleaning restrooms) will be significantly reduced, too. So what remains? Our wading pool is slated to operate 7 days per week in the summer, and both swimming beaches are slated to be open. I urge you to contact City Council members Sally Bagshaw, Chairman of the Committee that oversees Parks and Recreation, Tom Rasmussen, Vice-Chair of the Parks and Recreation Committee, and other council members to express your concerns. Services in Green Lake neighborhood may be cut even further, if we give the impression we don’t care. The Nov 6 work party will be the fourth annual shoreline milfoil cleanup. The Milfoil Cleanup will focus on the embayment just north of the paddle-boat rental (1/4 mile north of the Community Center), where the milfoil is especially dense. As Mom always said (or was it Snow White? ), “Many hands make light work.” Working together with neighbors for a good cause is both fun and rewarding. To register for the milfoil clean-up from 9 AM to Noon on Saturday, Nov 6 (rain or shine) email us at: FriendsofGL@gmail.com. Boots, gloves and rakes can be had from the Parks Dept, but we need to know how many (and what sizes) to get. What is Milfoil, anyway? And why is it so bad? 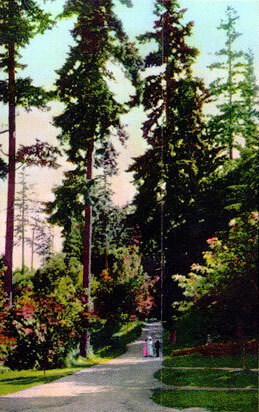 Did you know Ravenna Blvd is located where a creek used to flow from Green Lake to Lake Washington? That in 1903 the City fathers (and mothers?) invested $4 million in parks for our fair city? The October 26th meeting of the Friends of Green Lake will feature Sue Nicol, Vice-President of Friends of Seattle’s Olmsted Parks, and retired head horticulturist at the Woodland Park Zoo. Sue has a slide presentation describing the Olmsted plans for Seattle’s parks, and how they evolved into Woodland Park, the Zoo, Green Lake Park and Ravenna Blvd (among other City Parks). Join us at 7:00 in the large meeting room of the Hearthstone retirement residences, 6720 E. Green Lake Way, N. Friends of Green Lake meetings are free and open to the public. I hope you will join us for this fascinating story of how our City’s parks system evolved. Friends of Green Lake is partnering with Seattle City Parks to improve shoreline habitat at Green Lake by sponsoring volunteer work parties the first Saturday morning of each month, from 9:00 to noon. The first work party on October 2 removed blackberry canes and roots near the cat tail patch where the red-winged blackbirds “hang-out”. The nine volunteers agreed that they actually had fun, pulling and twisting those nasty, thorny blackberry vines in the company of other volunteers. Additional blackberry removal will be done after November. Photos courtesy of Joyce Grage.